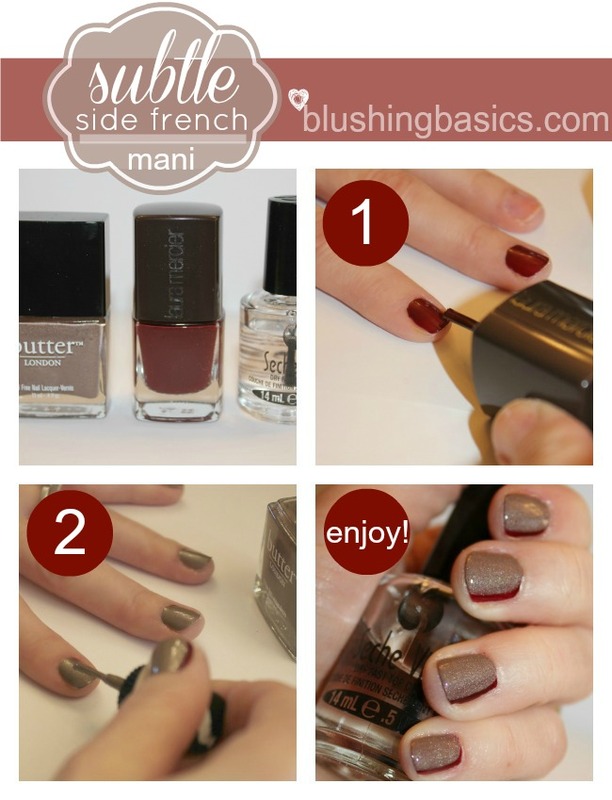 i recently saw this mani idea in a magazine and loved the hint of color peak-a-boo. the french manicure has been done. and then done again. i thought this take of the side line was a clever remix. the more i wear it the more i like it. it is so easy to achieve, paint the nail your peak-a-boo color, follow with two coats of your main color allowing just a bit on the side and Voila! your subtle side french mani is complete. Love this and the color combo, but I would try the colors reversed. Reminds me too much of cuticle bleed this way. Loving that Laura M nail lacquer shade! Very pretty I have to give this a try. definitely trying this one! I have like a royal blue colour and gold that I may try it with. Thanks for the idea!